Brett RubinThe POD-indawo was designed by Johannesburg-based architect Clara da Cruz Almeida. 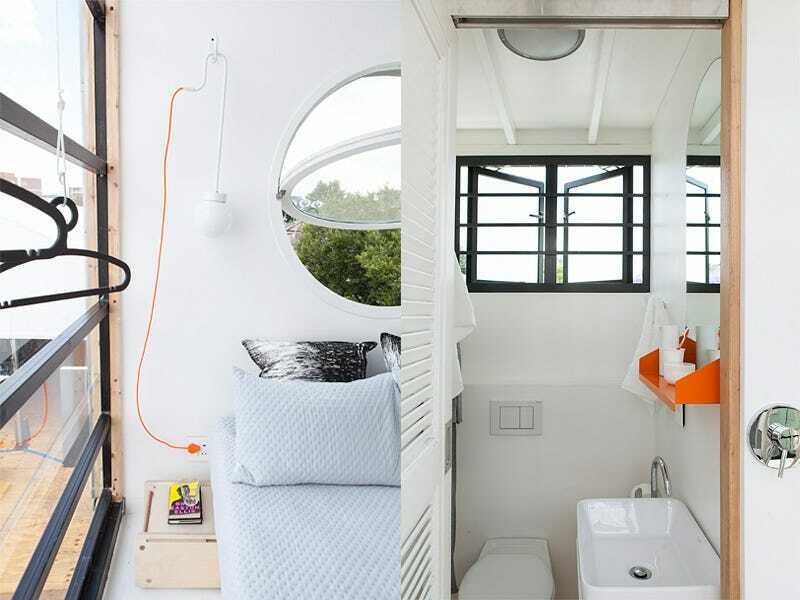 Tiny, sustainable living is becoming a more and more attractive solution to the problems of urban living. 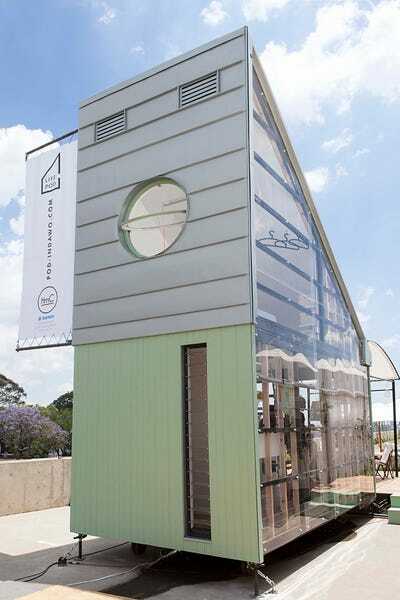 So architects like the Johannesburg-based architect Clara da Cruz Almeida are coming up ingenious ways to make these teeny tiny spaces more livable. 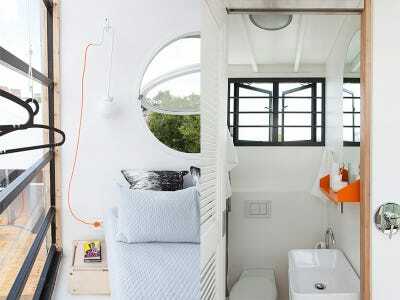 Almeida designed and built a tiny 183-square-foot home — called the INDAWO / lifePOD — and suited it perfectly to the warm South African climate. Brett RubinThough the livable space is small, the pod has very high ceilings, allowing for storage up along the walls and a high lofted bed. 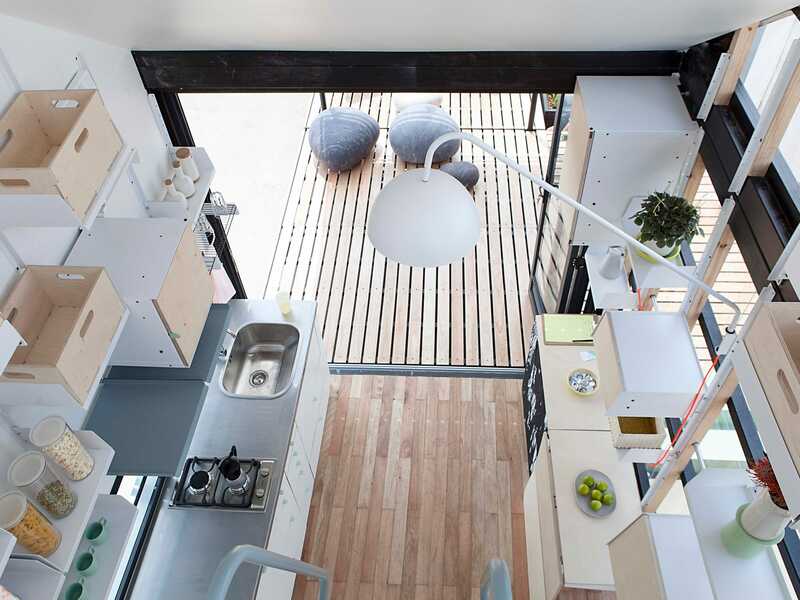 Though the square footage isn’t much to work with, the pod’s clever fold-out couches, fold-down table, and enclosed storage allow the space to transform instantaneously. Brett RubinThe lower area of the pod can be used for anything, but is particularly well-equipped to serve as a kitchen. 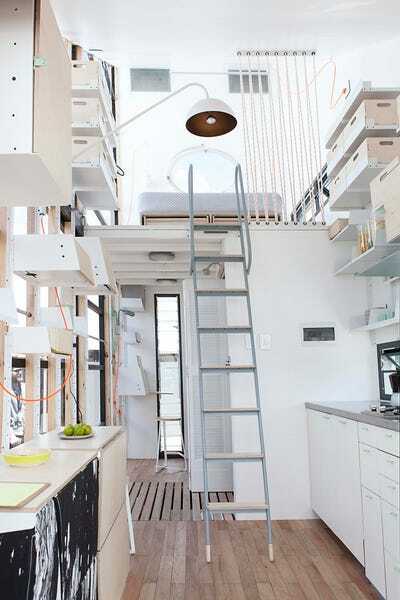 The pod also has very high ceilings, allowing for storage up along the walls and a beneath high lofted bed. The space is bright and airy since the side walls are made of see-through glass, which lets in copious amounts of light. The lower area of the pod can be used for anything, but is particularly well-equipped to serve as a kitchen. As for the green aspects of the pod, it promises to shave huge amounts of money off the energy bill with its prefab design and efficient use of space. Brett RubinThe pod offers a surprising amount of space for storage. According to Curbed, Almeida hopes people will see the pod as more than guest a backyard guesthouse, but instead a new model for home ownership where land ownership is not necessary. This pod will be extremely affordable ,too, costing between $US18,000 and $US63,000. Almeida hopes to expand on her concept and develop different versions like a flatpack or self-assembling pod. 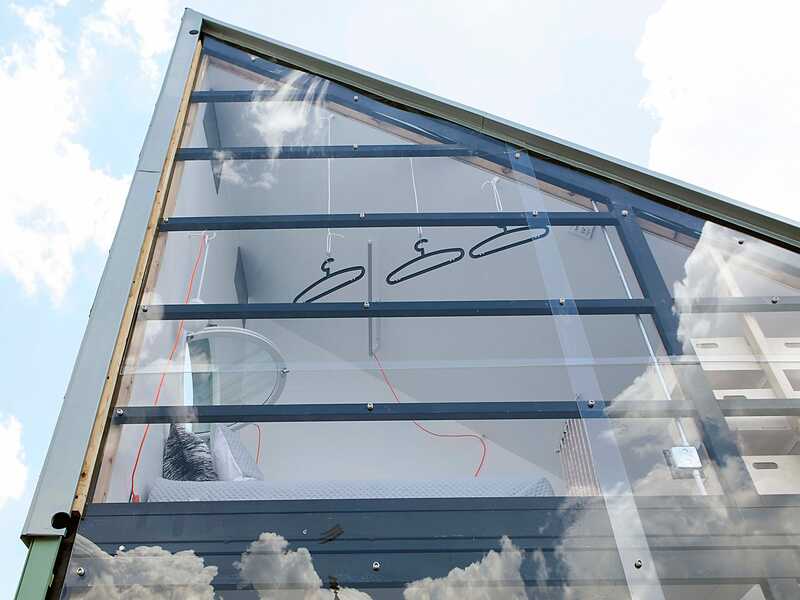 Brett RubinThe pod promises to shave huge amounts of money off the energy bill with its prefab design and efficient use of space.